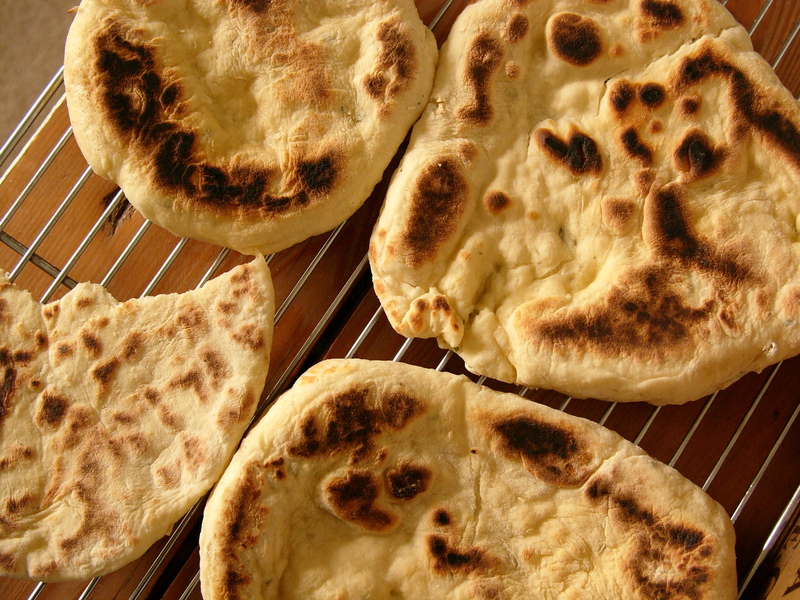 How to feel rich for a quid: herb flatbreads | WTF Do I Eat Tonight? Some things in cooking are essential, some less so and knowing the difference is often what makes a recipe work or not. 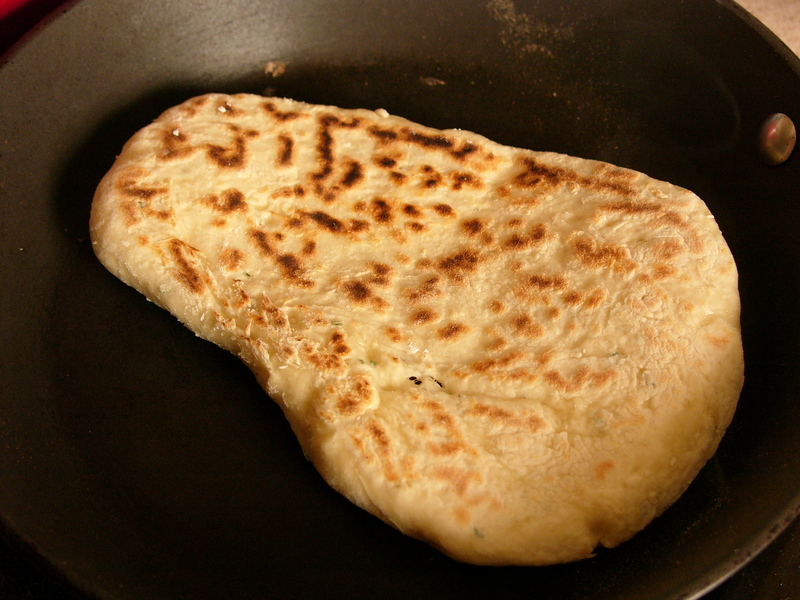 So, for example, I have often scanned flatbread recipes, seen the words ‘leave overnight/for a few hours’ and ignored them because a) I can’t be bothered and b) that seems like a lot of faffing for something I can buy for 80p in the Turkish shop on the corner. You may be surprised at how easy this is, how little equipment you need and perhaps, as I was, a tad incredulous that this simple dough will turn into anything resembling bread. But it will, and it does and I urge you to try it. I’ve taken some extra photos to help you see what to expect. Finally, in my experience, the name is a bit of a misnomer: no matter how thinly I roll these they end up puffy, not flat but, whatever their shape, they taste delicious and are incredibly impressive. If you don’t have self-raising flour (I often don’t), you can use plain with an added 3 tsp baking powder (technically you need 2 tsp per 150g of plain flour which gives you 3.3 tsp for 250g but 3 seems to work fine). And, if like me, the barbecue is lit when you make these, try cooking them on it; I think they may taste even better. 1. Finely chop the herbs. Put them in a bowl with the flour, baking powder, salt and yogurt and mix together until you have a dough that comes together, but is still quite sticky. (I have done this by hand and in a mixer; both work equally well). 2. Flour a work surface or chopping board, tip the dough onto it and then, with well-floured hands or a well-floured rolling pin, roll it and shape it into a ball. 3. 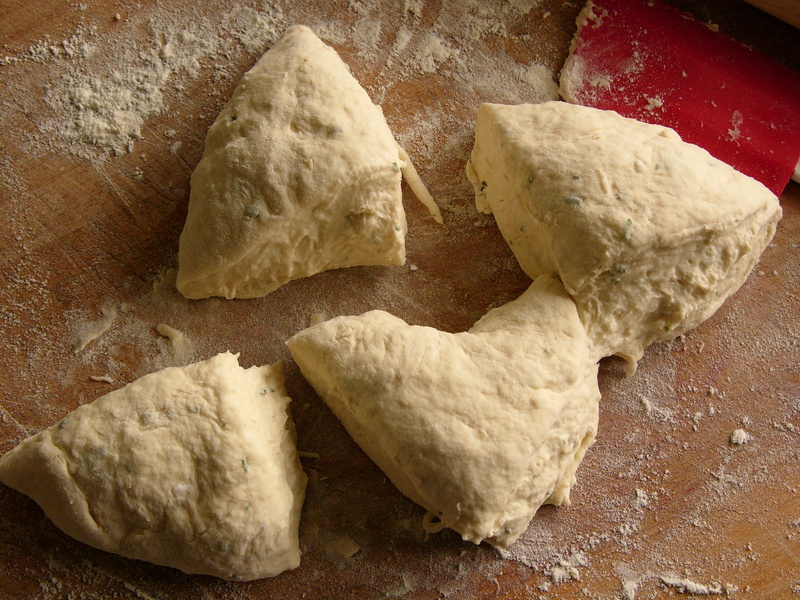 Cut the dough into 4 equal pieces, then roll them out again until about 1cm thick. …and rolled out; the only time they look flat. turn it over and cook the other side. 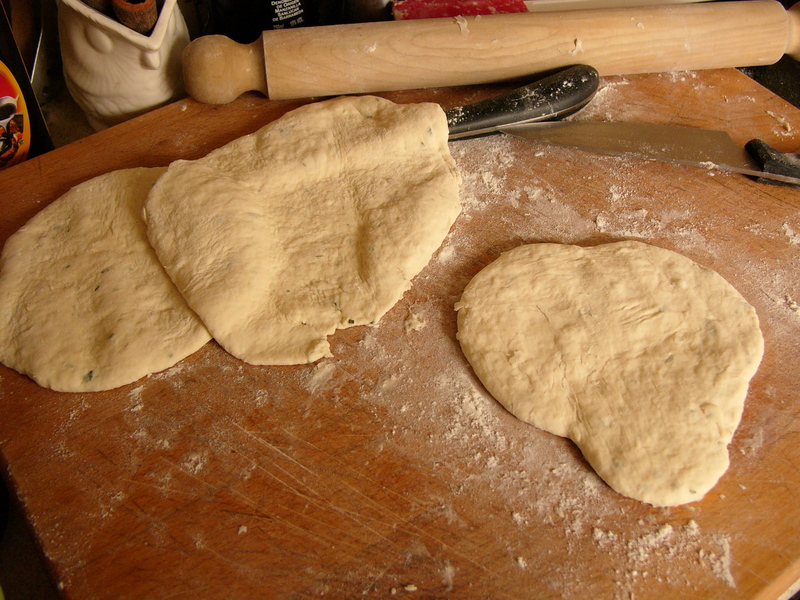 Turn again, if necessary, to cook both sides until coloured and firm. 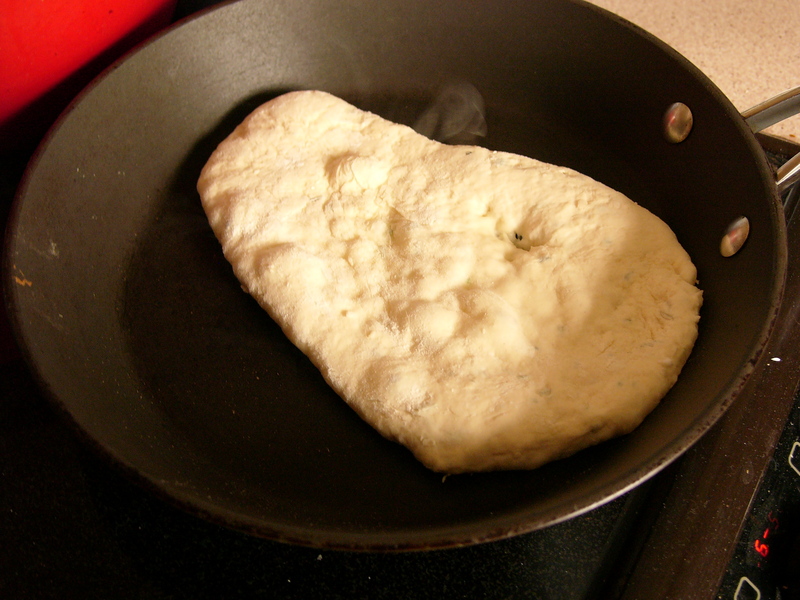 This entry was posted in Bread recipes, One pot and tagged barbecue, delicious magazine, flatbread recipe. Bookmark the permalink.